Speedo is the world’s leading swim brand, distributed in over 175 countries worldwide. It is synonymous with swimming having introduced the very first performance swimsuit in 1928, and continues to lead the category through innovation, creativity and global reach. 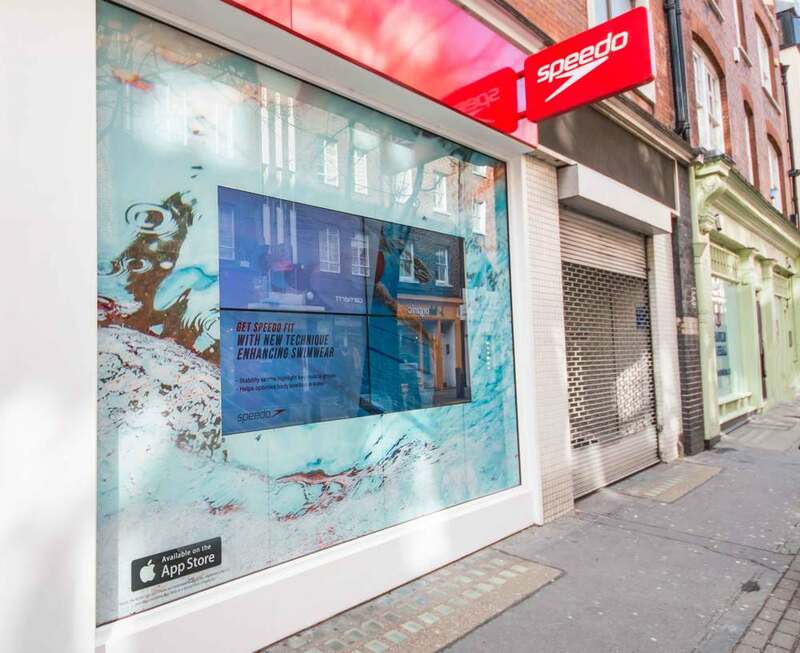 As part of the Speedo Fit campaign, designed to engage and challenge swimmers through a variety of activities, Speedo wished to utilise digital applications to better communicate campaign developments as well as attract and engage shoppers. Working with partnering agency Office Twelve, who commissioned the work, we designed several solutions for stores located in Oxford Street and Covent Garden. For each of the solutions created for our client, our in-house creative team were able to design content, optimsed for digital screen platforms. We also used our powerful Acquire engine to manage content to ensure that the solutions provided remained easy-to-use, dynamic, and highly engaging for our clients’ customers. Stay in touch on social media for the news and updates.